Lock in a great price for Willow House Inn B&B - rated 9.3 by recent guests. This is an absolutely excellent property.The hosts are wonderful,the breakfast was fabulous The room, especially the bed, was well done. Will definitely go back.Our rating is 5 star for a B&B property. Beautiful historic home. Room was spacious and recently renovated. Lovely decor. Walking distance to everything I needed. Would stay here again. Very comfortable welcoming and peaceful. The breakfasts were amazing. Good value for money and the host were very friendly. Lovely house, friendly and helpful owners, delicious gourmet breakfast, comfortable beds. 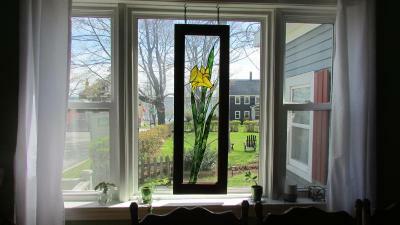 The location is excellent, right in the heart of Pictou. Easy to walk the harbour front and main street with access to local shops and restaurants. Brenda and George are very friendly, welcoming and informative. The room was clean, spacious and quiet with a view of the water. A delicious, tasty breakfast was one of the best on our 2 week road trip of Nova Scotia. Highly recommend! Excellent Bnb. Hosts were lovely and the breakfast each morning was excellent. Looking forward to getting to stay here again. The personal touch and ever such wonderful hosts. Thankyou Brenda and George! The inn was very charming. The hosts were welcoming and accommodating and knowledgeable about things to see in the area. The brass beds were like sleeping on a cloud. Breakfast was a delight. The hosts, Brenda and Alain are so welcoming. The house is lovely, very old, clean and beautifully furnished. The bed was really comfy. The breakfast was delicious, loved the homemade plum cake. The house is right in town and plenty of eating places nearby. One of our top picks in Pictou – and a guest favourite. 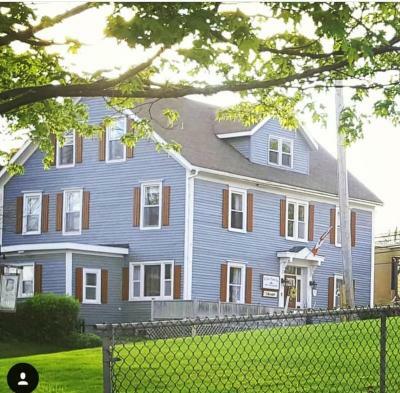 Built in 1840, this Pictou guest house is 550 yards from the waterfront area, featuring shopping, dining and entertainment opportunities. Each unique rooms offers free Wi-Fi and a private bathroom. A daily breakfast is served in the Willow House Inn B&B's cheerful breakfast room. It includes a hot egg entree and fresh fruit. The common living room provides a comfortable seating area with a piano, games and books. Free on-site parking is available. Each air-conditioned room at the Will House Inn offers cable TV and a patio. Some rooms include a bathtub and a comfortable sitting area. This property also has one of the best-rated locations in Pictou! Guests are happier about it compared to other properties in the area. This property is also rated for the best value in Pictou! Guests are getting more for their money when compared to other properties in this city. Willow House Inn B&B has been welcoming Booking.com guests since 3 Oct 2011. When would you like to stay at Willow House Inn B&B? Offers a seating area and private bathroom with claw-foot bathtub and shower. The rates for this room are for 2 guests. This room can accommodate a maximum of 4. Please refer to the hotel's policy for extra person charges. The rates for this room are for 2 adults or 2 adults with 2 children under the age of 12. This room features a garden view, original plank floors, a seating area and private bathroom with a shower. House rules Willow House Inn B&B takes special requests - add in the next step! One child under 16 years is charged CAD 15 per night when using existing beds. All further older children or adults are charged CAD 15 per night for extra beds. Bankcard Willow House Inn B&amp;B accepts these cards and reserves the right to temporarily hold an amount prior to arrival. Willow House Inn B&B accepts these cards and reserves the right to temporarily hold an amount prior to arrival. Please inform Willow House Inn B&B in advance of your expected arrival time. You can use the Special Requests box when booking, or contact the property directly with the contact details provided in your confirmation. Nothing, it was a lovely stay. Most amazing breakfast, hosts were awesome. Rooms spacious and comfortable. The breakfast was very good and coffee/tea were available in the afternoon. The space heater was a bonus and it make the room cozy. George and Brenda are new owners with lots of plans for making their B&B even better. The bathroom is a bit cramped but George talked over with us his plans for enlarging and renewing the bathroom this winter. We had a large room with a private bath, everything you needed was right there. Everything worked. The bed was very comfortable and the neighbourhood was quiet so we had a great sleep. We were invited to make ourselves at home & use the sitting room & the all night coffee bar if we wished. But, it was the breakfast that makes this memorable. The food was excellent and plentiful - amazing that Brenda was able to prepare such a delicious breakfast built to accommodate several food restrictions. The warm, family atmosphere that Brenda manages to create led to wonderful conversations with other guests around the table. We were all enjoying ourselves so much that we were all slow leaving.